Now perhaps the BN government is really listening to and addressing people's great concern about the crime and security situation in Malaysia. 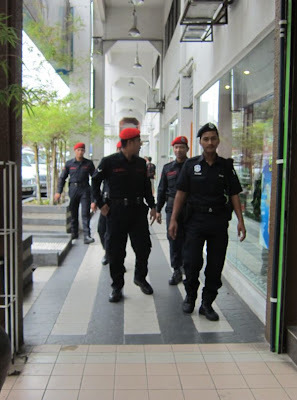 A few days ago, I noticed some FRU (Federal Reserve Unit) which are mainly taked with crowd and riots control patrolling near Sekolah Menengah Kebangsaan Damansara Utama. I aksed, what are FRUs doing here? Bantu (help). Turned out what they meant was helping the police patrol Damansara Utama.